So, onto my Top Five albums of 2011. Obviously I'm wrong and you are right, but that's the point... right? Anyway, these five are merely my favourite albums of the year and they're all pretty much there for different reasons. Either way, I've connected with them all. 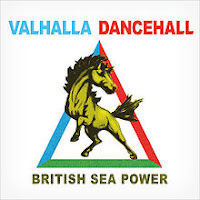 In stretching the songs from Valhalla Dancehall into all kinds of shapes British Sea Power have shown how robust they truly are. Complimented by a remix CD, a disc of alternate versions and last years' Zeus EP the fourth (proper) album from one of our top bands rewarded all that kept faith. Obviously not as incendiary as their debut (released nearly 10 years ago), neither do the band tread water. Each song is worthy of exploration. Beautiful and ponderous, 'Cleaning Out The Rooms' is the sort of stately sweep that Elbow would be proud of while 'Living Is So Easy' wears a Pulp influence on it's sleeve. 'Luna' is so good that it's possible to double the length (as BSP have done) without it losing any of it's power. A very singular band solidifying their position is a wonderful thing to come across. Clean-cut indie rock, with the slightest hint of emo, Tellison could easily be terrible. Instead they're incredible. On the surface The Wages Of Fear sounds like a straightforward guitar driven record, but over multiple listens little bits start appearing around the edges and a long-term appeal presents itself. Still, that's not the reason it's been on heavy rotation this year. Emotive moments and excellent songcraft ('Collarbone' in particular) have provided just the pick me up that's needed by a struggling sentimental such as myself, whilst punchy, heavier moments such as 'Horses' have provided the physical drive for me to actual move on occasion. 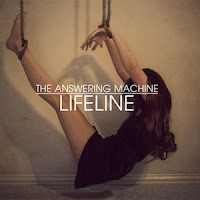 The Answering Machine were one of three bands to have released cracking second albums in 2011, only to split soon after. It's a signifier of how it's impossible for underground acts to trully earn a living more than it is a comment on the music. 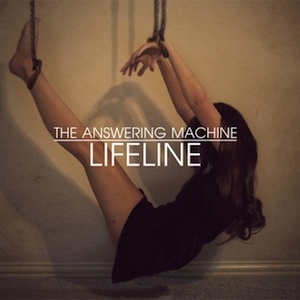 Still, you can't help but feel The Answering Machine would have found it hard to top Lifeline. When 'Animals' arrived at the tail end of 2010 it felt promising that the band had refined all of their impulses into streamlined pop, but with the title track and skyscraping moments such as 'Anything Anything' and 'Video 8' they sounded like they could take on the world. That's not to say that there's no edge to Lifeline; 'Romantic And Square' retains jagged corners and the sadness at the core of 'Hospital Lung' kept this very much left of the middle. 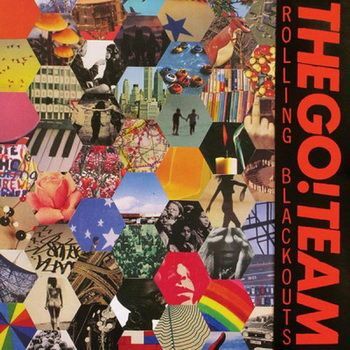 As great as Thunder, Lightning, Strike was and is, the third album from The Go! Team has got to go down as being their best. Distilling everything that I love, not only about The Go! Team, but about music is damn-near impossible to do, but has been done here. 'Buy Nothing Day' stands out as the prime example of this, but thanks to the cut and paste, magpie nature of mainman Ian Parton all potential areas and sounds were covered without the record descending into a mes. Whatever yr after there's a track on Rolling Blackouts that fits the bill. 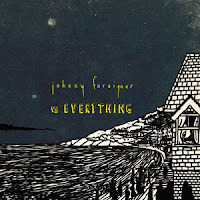 2011 was Johnny Foreigner's own. It doesn't seem that they've seen it that way, after being blackballed by the NME, generally having no money and trying to combat leaks. But against all odds they succeeded and released the album of their career on the best record label in the country. From the numbers that sound like classic JoFo ('If I'm The Most Famous Boy You've Fucked, Then Honey Yr In Trouble', 'What Drummers Get') to completely new territory ('200X', 'Don't Show Us Your Fangs'), it distilled their essence, their combative nature and outsider status into an ambitious and brilliant full length album. 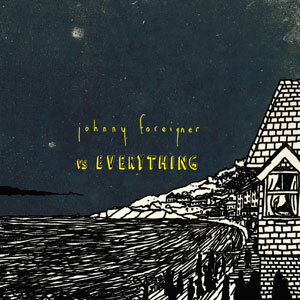 An album to get lost in, that comforts and energises. It's one to take right into yr heart.